This page shows the latest Yondelis news and features for those working in and with pharma, biotech and healthcare. Another drug - Johnson &Johnson's Yondelis (trabectedin) - was approved in 2015 for two specific types of STS (liposarcoma and leiomyosarcoma). 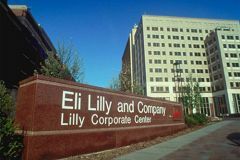 But the cost-effectiveness body rejected GlaxoSmithKline's Hycamtin (topotecan), PharmaMar's Yondelis (trabectedin) and Lilly's Gemzar (gemcitabine) for treating the first recurrence of platinum-sensitive ovarian cancer. Another firm active in this space is Pharma Mar, whose marine-derived antitumoral agent Yondelis (trabectedin) received US approval last month to treat unresectable or metastic liposarcoma or leiomyosarcoma. . The US approval comes on the back of data from a phase III trial which evaluated Yondelis (trabectedin) versus dacarbazine. ... However, Yondelis showed a significant improvement in progression-free survival of 4.2 months versus dacarbazine's 1.5 months.